Topical corticosteroids are very effective anti-inflammatory, immunosuppressive, and vasoconstrictive medications and are the first-line treatment for many rashes, eczema, and dermatitis. In recent years this class of medications has earned a bad reputation due to its potential side effects. However, if used correctly with medical supervision there is very little risk for developing these adverse effects. It is normal for topical steroids to sting slightly when first applied. There are many different topical steroids – in the United States they are classified into seven groups based on their vasoconstrictive properties with group one being the strongest and group seven being the weakest. Deciding which topical steroid to use is influenced by a number of factors. As a general rule of thumb it is best to use the weakest potency steroid possible that will efficiently resolve the condition it has been prescribed for. The location it is to be used is important – thin and sensitive skin such as the eyelids and perianal regions require weaker strength, whereas the palms of the hands and soles of the feet require increased potency to have effect. 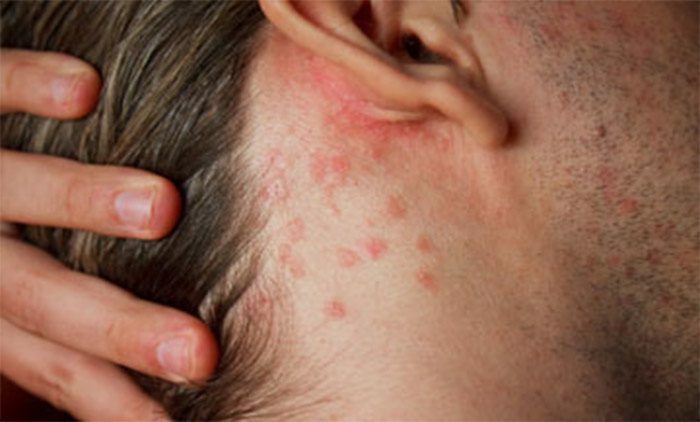 Finally, the type of condition being treated must be considered; conditions like psoriasis require very strong prescriptions, whereas mild eczema might be treated successfully with hydrocortisone (a weak steroid). The potency of topical steroids is influenced by its vehicle. Ointments provide increased potency because of its occlusive effect but can cause folliculitis in hairy areas. Furthermore, ointments are quite greasy which can make their use uncomfortable or inconvenient. The same occlusive effect can be created by wrapping the affected area with plastic wrap or bandages when using other vehicles. Creams are the most popular vehicle as they are moisturizing and do not feel greasy. Creams do not provide any occlusive effect, however, which results in reduced potency when compared to an ointment. Lotions and gels are alcohol based and thus dry very quickly. This is very useful when treating a condition that would heal faster if kept dry. Furthermore, gels and lotions (and foams) are useful for treating hairy areas such as the scalp as they leave little residue and do not cause matting. Applying a topical steroid directly after a shower will increase its potency as hydrated skin shows greater absorption. It is extremely important to carefully follow your physician’s instructions when using topical steroids for multiple reasons. First is a phenomenon known as tachyphylaxis – a rapidly developing tolerance to a repeat dose of medication. Tachyphylaxis occurs with most medications but is especially pronounced with topical steroids. This tolerance develops over the course of 4-6 days and takes just as long to recede. Therefore, many physicians will instruct their patients to apply their steroid every other week. This method is also useful in that it avoids side effects – using a steroid every other week (or some variation of that) if useful in managing chronic conditions as it avoids the side effects associated with long term topical steroid use. These adverse effects include skin atrophy, easy bruising, thinning of the skin, formation of telangiectasia (dilated blood vessels), stretch marks, infection, hyperpigmentation, hypopigmentation, hypertrichosis (increased/abnormal hair growth), acne, rosacea, cataracts and glaucoma (when used around the eyes), and some symptoms of Cushing disease. While this long list of side effects may seem like a good reason to avoid the use of topical steroids, it is entirely possible to avoid these if your physician’s instructions are carefully followed. Topical steroids are an excellent class of medications. They can be used to both quickly fix many rashes and forms of dermatitis and can be safely be used to manage chronic conditions. It is important to note, however, that topical steroids do not treat infections – in fact they can be made worse. Topical steroids inhibit both inflammation and the immune system, both of which are vital components of the body’s response to infection. If your condition is made worse by topical steroids contact your physician.